I recently bit the bullet and bought a new TV, an LG 55UB850T that was on a steep discount. 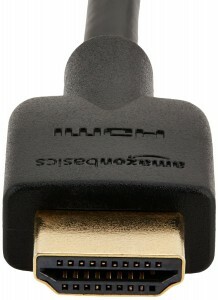 However, 2160p/60 is only supported on the one HDMI 2.0 connection on the TV. The other HDMI ports are version 1.4. No problem, I thought. I will just get an HDMI 1×3 or 1×4 switch. Finding the cables was not difficult. As I don’t need cables longer than 3 m, any high speed HDMI cables would do. I ended up ordering the AmazonBasics High-Speed HDMI Cables, in 3ft and 6ft, just so I don’t have to wade through unknown cable brands. These cable are also very cheap, with a 2-pack of 6ft cable costing just $9.99. The search for HDMI switch, however, had turned into a mystical treasure hunt. Searching for “4K HDMI switch” on Amazon turns up many results. But a closer inspection will show that they support 1080p/60 and 2160p/30. Some tries to hide it, some specifies this explicitly. What none of the does is supporting 2160p/60. The product page does not explicitly say it supports HDMI 2.0, but it comes the closest by specifying 2160p/60, so I ordered one for $69.95. When the switched arrived, I was disappointed to see on the packaging that it supports bandwidth up to 10.8 Gbps rather than 18 Gpbs. Had this detail been listed on the product page, I might not have ordered it because my understanding is I needed 18 Gbps for 2160p/60. To my surprise, the whole set up (HTPC with GTX 970, the new HDMI cables, the new HDMI switch, and the new TV) does work together to give me 2160p/60 playing Star Wars The Old Republic and a few other games. It turns out there is another variable I had overlooked: chroma subsampling. 10.8Gbps will support 2160p/60 using 4:2:0. Going up to 18Gbps will allow 4:4:4. This means I had to turn off Ultra HD Deep Colour option on the TV. It is not perfect, but I can live with it. The TV does supports 2160p/60 using 4:4:4 chroma, so when a suitable switch comes around I can just switch it in.